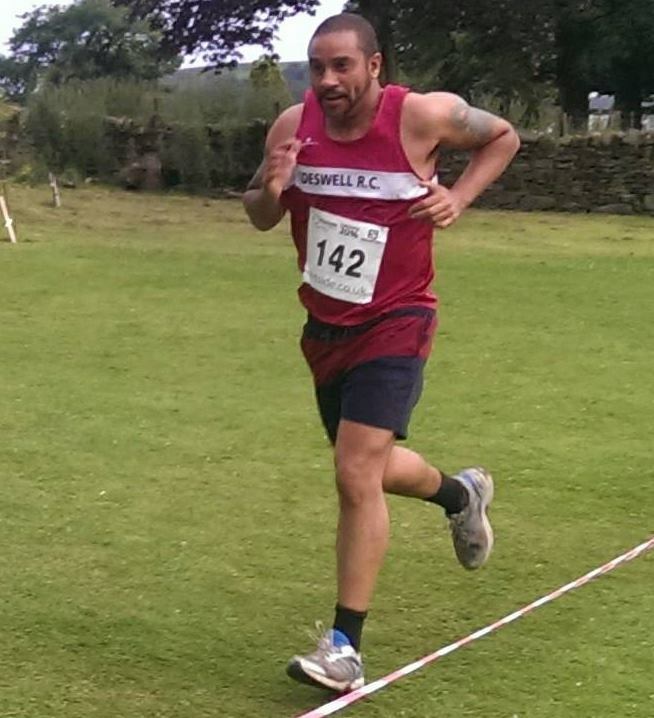 I entered my first Fell Race last night. It was a really hard route, but I managed to finish and I wasn’t last. 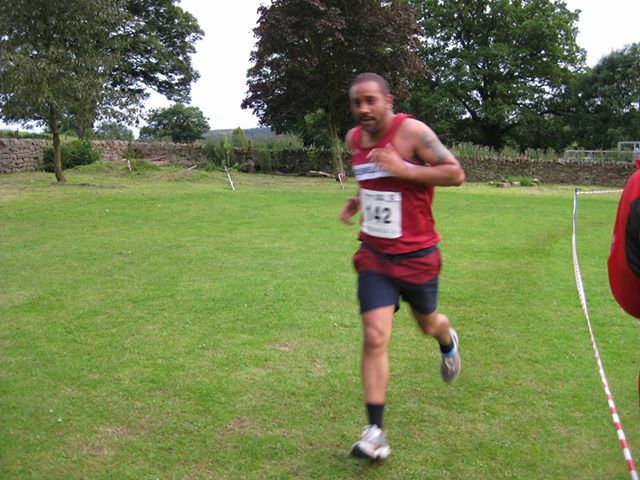 I had previously only run the Chatsworth 10k, and the Tideswell Inter Inns Run. (5k). 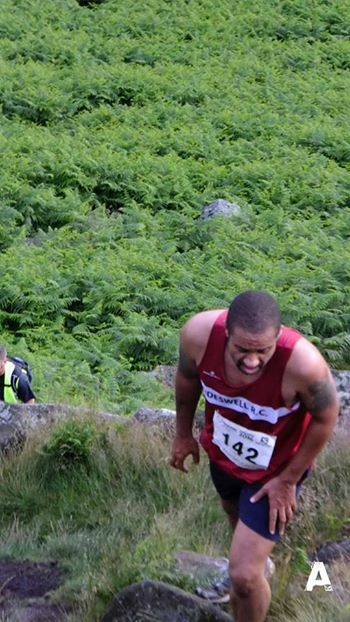 I was a bit nervous about doing a fell race, to be honest, because I’ve been suffering from Shin Splints for a while now, and didn’t think they could take it. 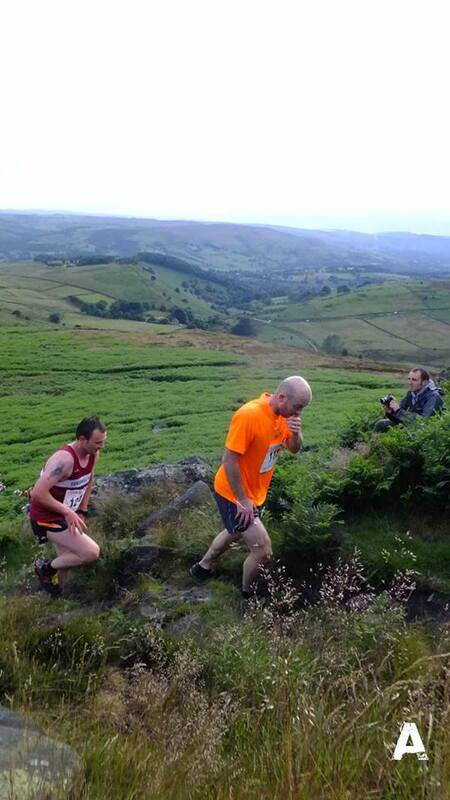 The shins held out fine though, in fact, I’d say the Fell race was LESS painful than a full road run. I’m completely amazed at how good every other runner is though. Big or small, old or young, there are some seriously dedicated runners out there, and I salute you all. 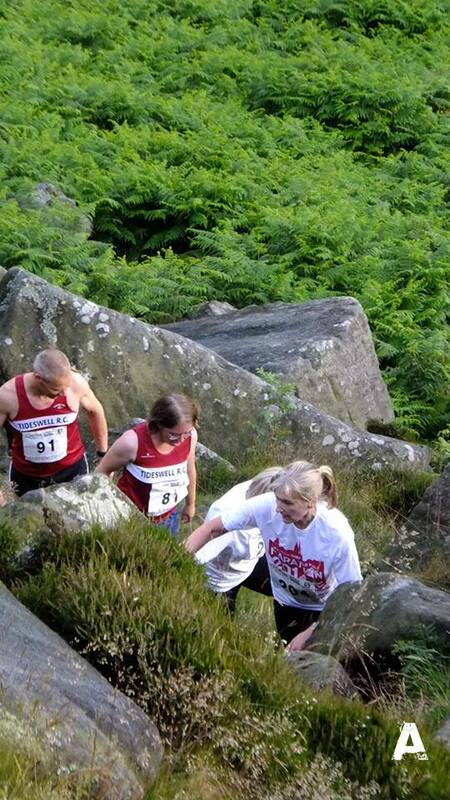 The Hathersage Gala Fell race was always going to be tough, knowing the terrain around there. I enjoy walking in that part of the Peak, so knew it would be challenging. 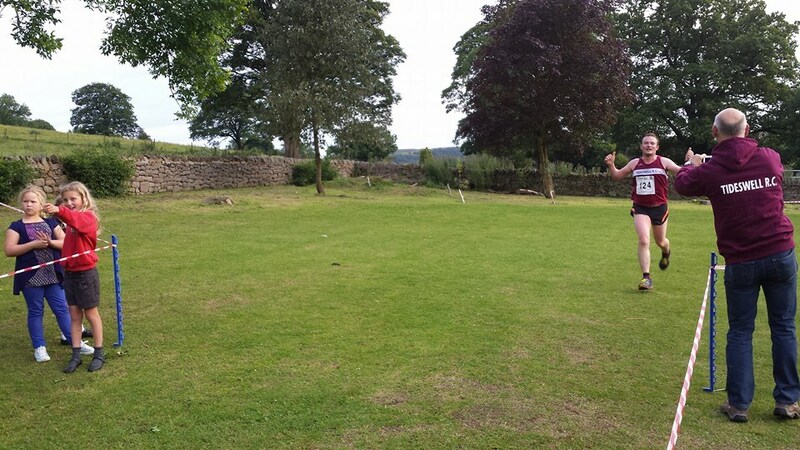 All photos borrowed from Facebook with thanks to Accelerate, Andrew Watkins & Kathryn Brindley. I finished right near the back, but that’s fine for now. 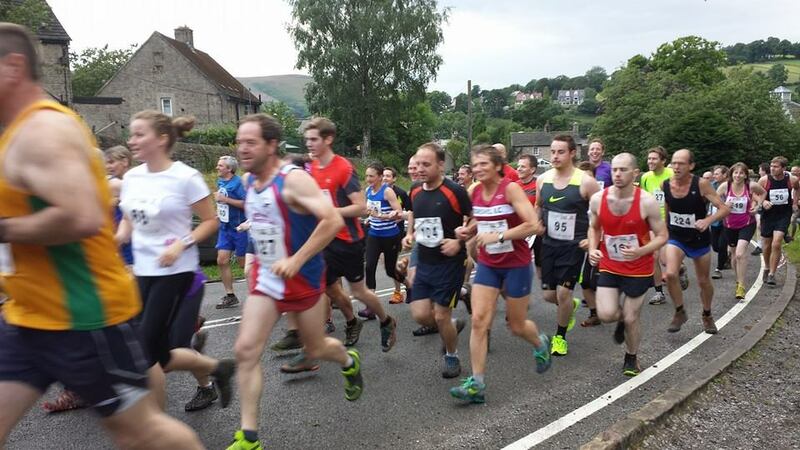 Thanks go to Nigel Jeff, who was spotting myself and Collette, and to Ben Brindley, who, running back, spurred me on for the last mile, and helped me attain a pretty fast sprint finish (According to Strava). Happy days indeed, I can’t wait for more races now. 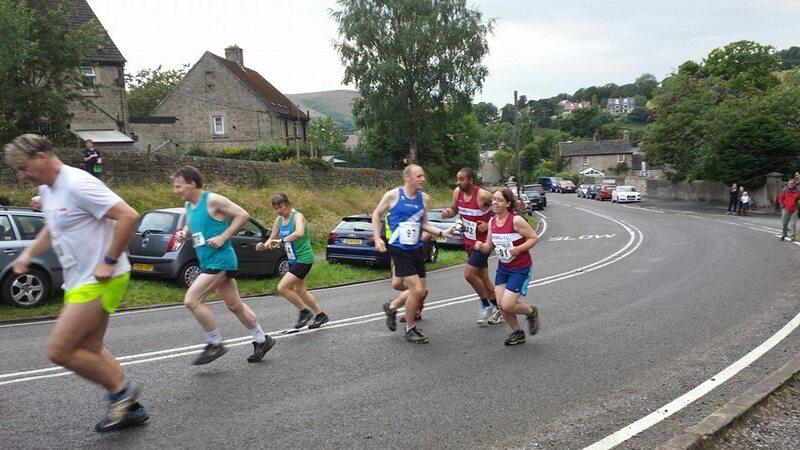 See the Hathersage Fell Race 2014 Results Page. 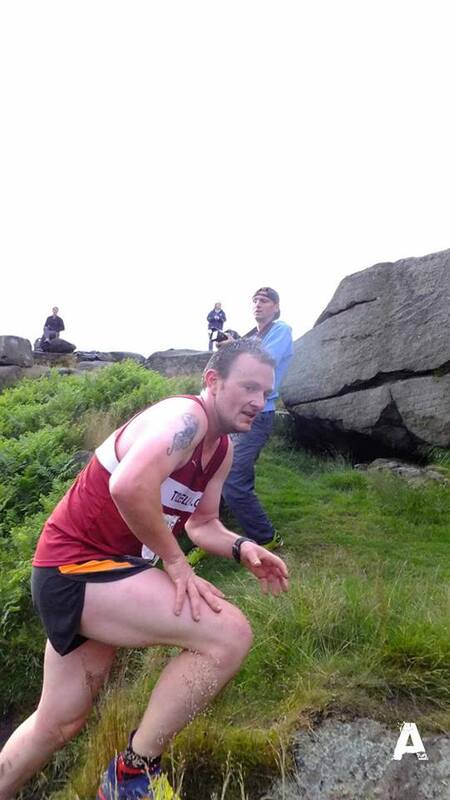 This entry was posted in Derbyshire and tagged RUNNING by Tideswellman / Old Man Paints. Bookmark the permalink.